are you looking for Moses Mountain and Saint Catherine's Monastery tour from Sharm el sheikh? we can help you, ascend the mountain where Moses received the 10 Commandments and reach the summit of Mount Sinai in time to watch the sunrise, before descending to Saint Catherine's Monastery, a UNESCO World Heritage Site, for breakfast. You will be picked up from your hotel in Sharm el Sheikh at 7:00 PM and then drive for about 2 hours from Sharm to Moses Mountain in a coach. On arrival you will start the ascent to the top of Mount Sinai. Reaching 2,285 meters, the climb includes about 750 steps, and will take you through the night to finish. On reaching the summit, gaze in awe as the sun rises, flooding the mountain with light. 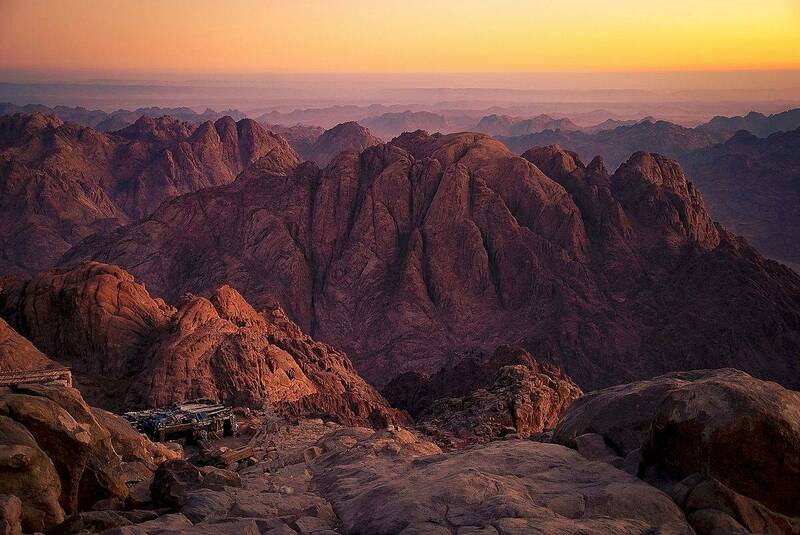 After seeing the sunrise, you'll descend to St. Catherine's Monastery for breakfast. Saint Catherine's Monastery is on the Sinai Peninsula, at the mouth of a gorge at the foot of Mount Sinai in the city of Saint Catherine in Egypt. The monastery is Orthodox and is a UNESCO World Heritage Site. This monastery is one of the oldest working Christian monasteries in the world together with the Monastery of Saint Anthony, situated across the Red Sea in the desert south of Cairo, which also lays claim to that title. After visiting this incredible ancient site, you will leave for Sharm El Sheikh, and arrive in Sharm at about 1:00 PM, enjoying a transfer you back to your hotel.